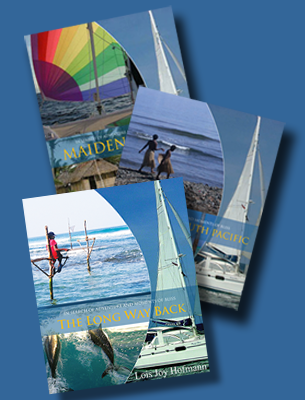 Adventure – Travel – Explore – Sail – Cruise – Photograph – Write ­- Circumnavigate the World. 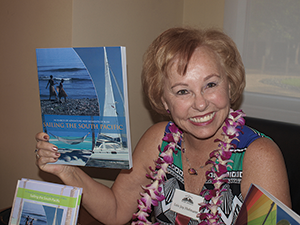 Lois Joy Hofmann is the author of, Maiden Voyage and Sailing the South Pacific, the first two books in a trilogy called In Search of Adventure and Moments of Bliss. 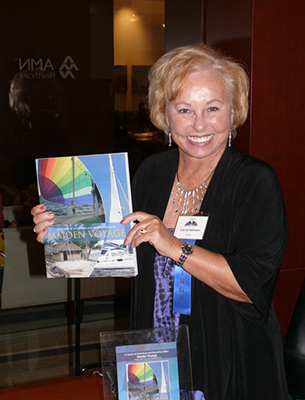 Each book won first place in the travel category of the 2011 and 2013 San Diego Book Awards, respectively. I appreciate your taking the time to visit and I hope you’ll find what you’re searching for—whether it’s books, information, or inspiration. I’d love to help you in any way I can. An experienced life-long traveler, I’ve circumnavigated the world twice—once by sea and again, by air and land. After visiting over 100 countries, I still enjoy traveling because I suffer from incurable curiosity and wanderlust. 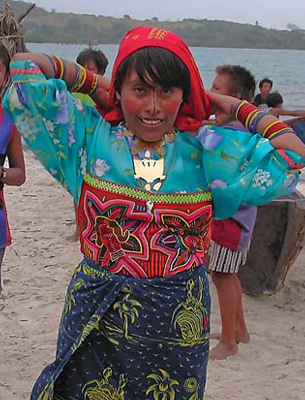 I love to meet other people and learn about different cultures. 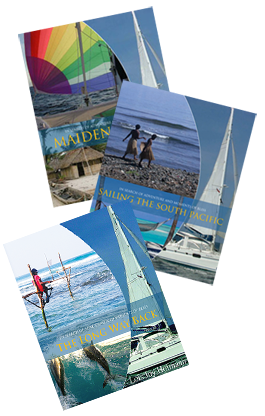 If you have questions about sailing or traveling, please do contact me. Gunter and I love to share what we have learned about cruising–from both a man’s and woman’s perspective. Gunter and I never regretted our decision to sail around the world. 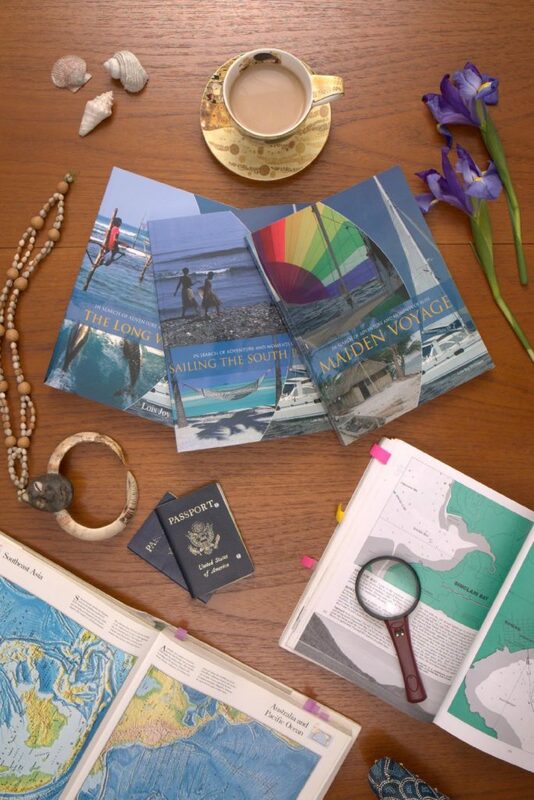 The process of writing and producing the In Search of Adventure and Moments of Bliss trilogy has allowed us to relive our circumnavigation. Although I’ve written most of the text, Gunter contributed his own Messing with Boats column and served as my technical advisor. We feel blessed and thank those who attend our presentations and read our books. You’ve allowed us to fulfill our purpose, which is to share. We wish you well as you pursue your own passions and live your dreams. I write about travel as well as these current passions in my blog, Sailors Tales. Visit me on Instagram. And take a look at my new fun and games section! In Search of Adventure and Moments of Bliss. New! Fun and Games Section! Ahoy there Matey! Are ye ready for a bit of fun? How about some games based on our travels! 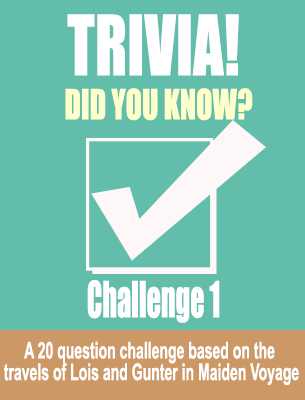 Trivia, and identification games with more to come!